Happy Halloween to everyone! This year I thought I'd be a guitarist in a lame band (no, not Blur). The term Halloween (and its alternative rendering Hallowe'en) is shortened from All-Hallow-Even as it is the eve of All Hallows' Day. Most Americans write with bad grammar so I'm not surprised we shortened it and took out the apostrophes. In the United States, Halloween has become the sixth most profitable holiday (after Christmas, Mother's Day, Valentines Day, Easter, and Father's Day). What about my birthday? 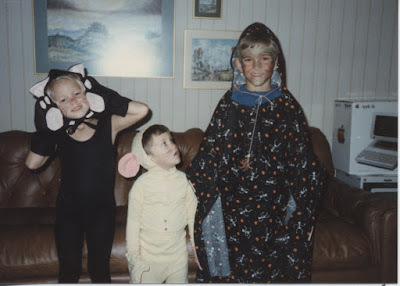 I went trick-or-treating all throughout high school. Senior year my friend and I didn't even get dressed up. People asked us who we were and we said, "Dumb and Dumber." It's funny because it's true! I loved when you would show up to a door with all the lights off and an empty bowl on the front steps with a sign that said, "Please take one." You know that the first kid dumped the whole thing in his bag and took off. I always wanted to leave an empty bowl on our porch with that same note, only not put out any candy in the first place and keep it for myself. My Mom never let me do this brilliant plan. When I was in 1st grade my parents entered me into some kind of costume contest at the Herndon Community Center. I don't remember which category I was in, but I think I was supposed to be scary because the guy next to me hissed at the judges and made cat-scratch movements when they were judging us. All I remember is I won 3rd Place. And if you look in the background you can see our brand new Apple II-C computer. That Steve Jobs was changing lives even back then! 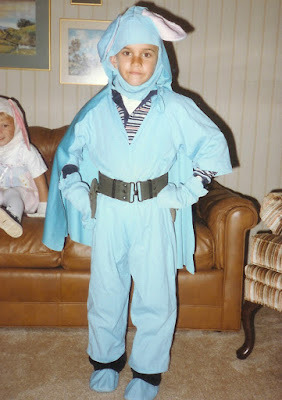 I'm not sure what I was this year (1984). Some kind of commando bunny? 2003 (and 2006 because I got lazy): This was my second-ever holiday greeting email. If you got that email, consider yourself very fortunate. 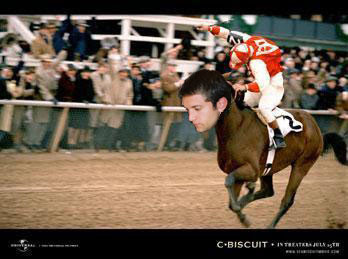 Obviously that year I was C-Biscuit for Halloween. 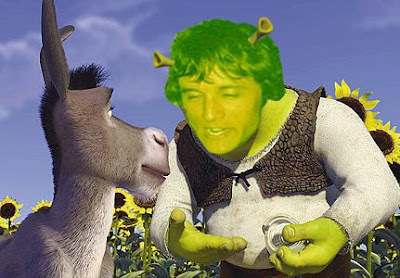 2004: I just love Donkey. 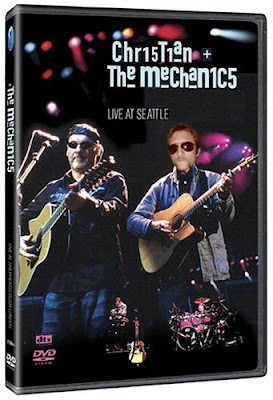 2005: This was a good idea but it just didn't turn out that great. 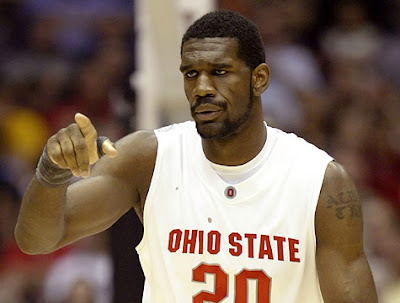 Greg Oden. What an honor for a rookie! And luckily, his season-ending knee injury won't keep him from leading this team to victory. 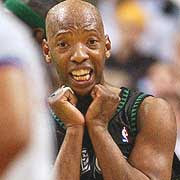 Sam Cassell. Charles Barkley says Sam looks like Gollum from Lord of the Rings. Either way, he could be the captain of this team. Ronald "Popeye" Jones. I'm still trying to figure out where the nickname "Popeye" came from. Any ideas? Gheorghe Mursean. He's 7'7" and that's not helping him any. Tim Frost. 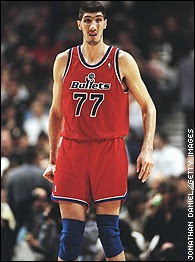 He never made it to the NBA but I'm giving him a special exemption for obvious reasons. When he played against my school, students in the front row held up signs that said, "T-I-M-F-R-O-S-T-I-S-U-G-L-Y." I think that was really mean but I guess sometimes the truth hurts. 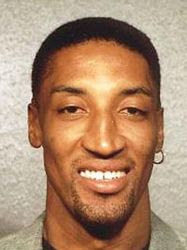 Scottie Pippen (First Alternate). Scottie was always second best because of Michael Jordan. 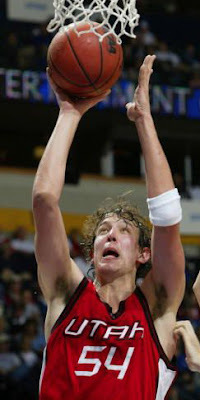 This time he's second best because of Greg Oden, Sam Cassell, Popeye Jones, Gheorghe Mursean, and Tim Frost. At least with MJ he got championship rings. Sorry dude. I have a few quirks. I think some quirks are useful (I keep grocery coupons in my car just in case I stop at Safeway while I'm out and about) but apparently some are annoying (I asked Robin for an example and she said, "You want just one?"). Her extensive list includes my sleep walking, the way I clear my throat or rub my face all the time, that I only have brown shoes (one pair of black actually), that I only shop at Gap, that I have to finish a project as soon as I start it even if there is no reason to start it right then, that I don't let anyone else play Freecell on my computer (I don't want my overall win percentage tainted--1316 out of 1461=90%), that I only eat real butter and real parmesan cheese (I heard if you put margarine outside, ants won't touch it), that I buy things that I don't need because I'm getting a deal and then return those things later. Obviously I am very endearing. I'm especially quirky about germs. Ever since the MTC, I have worn flip flops in the shower. I always put toilet paper on the seat (except in my own home). I never touch stall door latches or bathroom door knobs (you gotta love it when they put the paper towel dispenser right by the exit). I usually try to not touch bathroom faucets (think about it--dirty hands touch the faucet, get clean, then touch the faucet again and get dirty again). I have this weird monitor in my head that tells me to wash my hands when I've shaken a lot of hands or handled money. I never eat anything off the ground. If I can help it, I don't use the airplane bathroom or port-a-pots. I wipe off the shopping cart handles whenever the store offers those little wet wipes. I guarantee I get sick less often than the average person but I know I'm a weirdo. That's why I was so happy to see this article on MSNBC about the top 12 dirtiest places on earth. Now I know I've been living my life on the right track but apparently I should also stop doing laundry, doing dishes, going to the bank, and using the bath tub. I think Robin will understand. ...your boss has a scraggly mustache, is covered in paint from head to toe, and knows more creative ways to use swear words than Billy Bob Thornton. Example: Did you know you can say your car broke down by saying it went "t*ts up"? I sure didn't but I think I will say that the next time Robin's car breaks down. Also, at this job there's no such thing as a hammer. Only #@$*ing hammers. Watch out for Peter, Paul, and Mary's upcoming remix of their eponymous 1962 hit. And to top it off, on my first day I received some great leadership advice from him: "If you can't dazzle 'em with your brains, baffle 'em with your bullsh*t." And to think I never learned any of this in college or law school! I recently saw this interesting interview on MSNBC. Here's the story: a woman in NYC stopped to eat in a restaurant, went to the restroom, was intruded upon by the bouncer while in a stall, and was then thrown out of the restaurant by the bouncer. Apparently another patron thought a man had entered the bathroom so she told the restaurant manager. 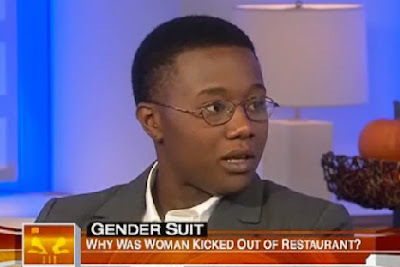 Now the woman is suing the restaurant for millions. I guess that's the going rate these days for gender misidentification. With all due respect to the complainant, I think I would have been confused, too. Watch the video and maybe you'll agree. I've been screwed by Best Buy a few times in my day. I bought a $50 "all-inclusive" warranty for my cell phone that I was told "covers everything" but when two buttons fell off, I was then told the warranty didn't include physical damage. Oh great. You stole $50 from me. Another time I bought a VCR/DVD player and it stopped working within 6 months. This time I didn't buy the warranty (what was the point?) and I was told I was out of luck. Nice. I'm glad to see you stand behind the products you sell. Score: Best Buy 2, Me 0. What?!?! So, you're telling me I can buy a new scanner, use it to scan all of my family photographs, and return it for full price as long as I do it within 30 days, but I can't play a video game for 2 minutes, realize it stinks, and then return it in new condition and get my money back? Oh Best Buy, why do you always do this to me? What did I do to deserve such treatment? I was a stellar employee as a young lad working for you during high school (for $6.35 an hour). I always stayed late to put out the new releases on Monday nights. I kept that Fun 'N Games area so organized and clean. I worked tirelessly to find CD's for customers who only could tell me one line or a song title and expected me to know the rest. I never played football in the warehouse or made fake announcements over the store intercom like some other employees I know. So, I felt great pain when I was forced to do this to get my money back. $21.77 later I was back in business. Score: Best Buy 2, Me 1. Yesterday I got word that I passed the Washington State Bar (664 out of 909 applicants passed, or 70.9%) . I celebrated this momentous occasion by eating a vanilla Pudding Pop. I'm still not sure what passing the bar really means because I don't have any idea what lawyers actually do (apparently besides renovating apartments, test-playing video games, and weeding yards). But, I'm glad I passed because I spent a lot of money and the whole summer to study for that test. Although, knowing my luck, I will probably end up working in another state and will have to take it again. But for now, three cheers for me. If you're interested in congratulating me, you can send miscellaneous baked goods or golf equipment. 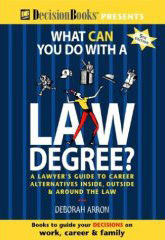 "You can do anything with a law degree"
1. Someone at church heard I am looking for a job and told me he's looking for some guys to help renovate apartments. Pay: $14 an hour. 2. A local temp agency called me about a "software tester" job. What this really means is they need someone to test (play) video games in Italian. 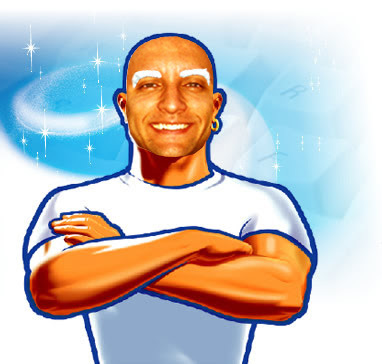 Grazie Mario, ma la principessa si trova in un altro castello. Pay: $12 an hour. 3. Robin's boss hired me to do some yardwork for him earlier this spring and to hang some pictures in his office. (He recently asked her which shelter we'd be living in if she wasn't working for him). Pay: $10 an hour. Wow, who knew facial hair could look so amazing? 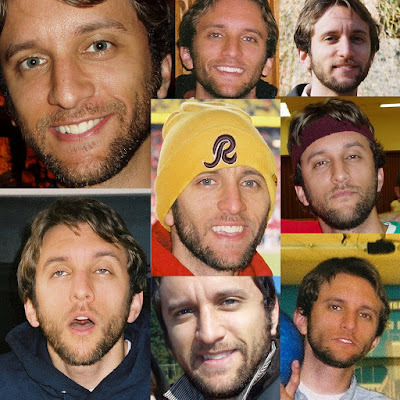 This is my old roommate, Nate. Today is his birthday. Happy birthday Nate. He didn't even call me on my birthday last month but here he is getting his own birthday blog. I guess that's the kind of friend I am. 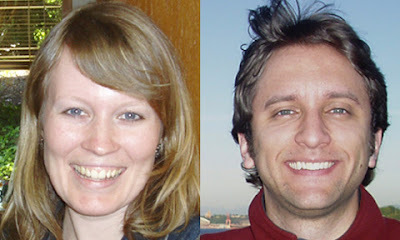 We had a lot of fun as roommates at BYU--playing Mario Kart, doing dishes together, going to Jazz games, throwing Super Bowl parties, even walking in the Martin Luther King Jr. Peace March arm-in-arm. Everyone should have the chance to have a roommate like Nate. So what do you think? 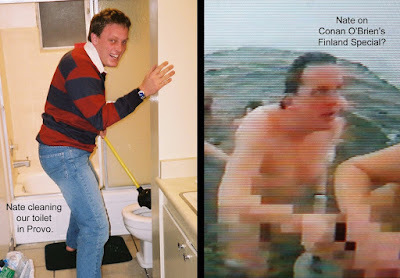 Did Nate secretly go to Finland and jump into a frozen lake so he could be on Conan O'Brien? You be the judge! 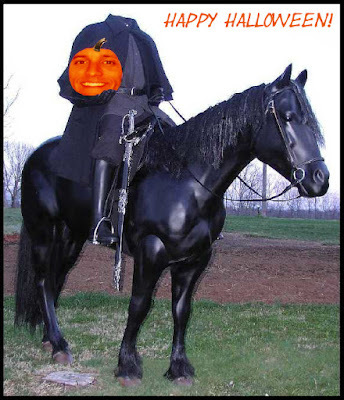 Vote on the sidebar. 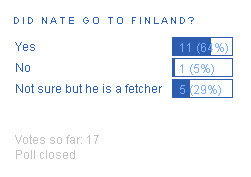 I guess we can conclude that Nate really did go to Finland. 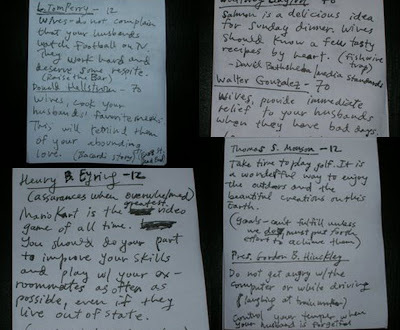 Robin told me to take notes at Priesthood session on Saturday night. Like the loving, supportive husband I am, of course I complied. October 2007. Douglas L. Callister said in his talk that "Brigham Young said of Orson Pratt: 'If Brother Orson were chopped in inch pieces, each piece would cry out: "Mormonism is true."'" Okay, that is the weirdest thing I've heard in a long time. There's no way you can spin that to make it sound better. It's just weird. And gross. If you chopped me in inch pieces, each piece would cry out: "Don't quote me in a talk." 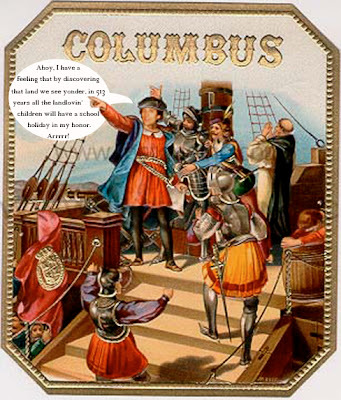 A Happy Columbus Day to all! Yes, it's time for that somewhat controversial holiday yet again. I'm not sure why people feel the need to protest a holiday that gives them a day off from school/work, but I learned long ago that I'll never understand people. (Example: Bumper stickers that "cleverly" count down the days until the Bush Presidency will be over. Let's be honest, will your lives really be that different when a new President is elected? I'm going with no, because you are probably the same people who swore you would move to Canada if Bush got re-elected, but you still live in the lower 48). 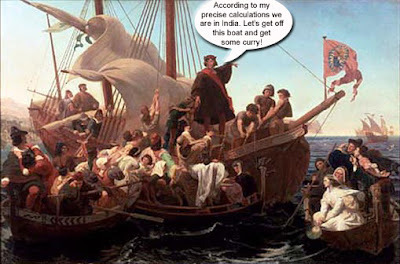 --Columbus Day commemorates the discovery of the Americas in Columbus's famed expedition to the West, in which he hoped to find a naval route to India. My take is it's amazing that a professional navigator/explorer who was 7,500 miles off his planned course is still praised 500 years later and has a national holiday named after himself. --Thanks to Columbus for naming the inhabitants he found in the Americas as "Indians," we have an ongoing debate as to what is the politically correct name for the Native Americans. Please just don't force the Washington Redskins to change their name and I'll be happy. --You probably know that Columbus' three ships were named the Nina, the Pinta, and the Santa Maria. But I bet you don't know the first three places he landed: The Bahamas, Cuba, and Haiti (Hispaniola). And when he returned to Spain to report his findings, he told the monarchy that he found Asia (Cuba) and China (Hispaniola). Didn't he know he was in the wrong place when he asked for some chow mein and they gave him tacos instead? --Since 1971, the holiday has been commemorated in the U.S. on the second Monday in October. It is generally observed today by schools, some banks, the bond market, the Post Office, federal offices, and most state government offices (but not the company Robin works for, how sad). 2006. 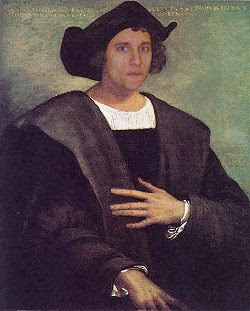 I went for the "Columbus talks like a pirate" theme. 2004. Apparently this is a pretty famous portrait of Columbus. What a handsome man. In honor of General Conference this weekend, I have compiled a short list of my favorite unusual, funny, odd Conference moments. 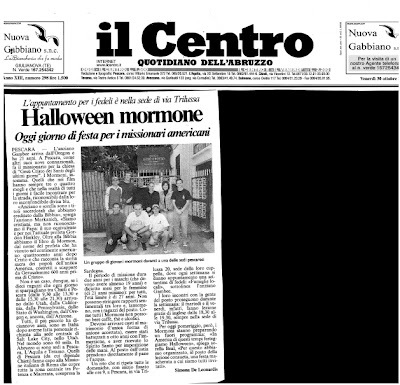 October 2002. Colleen Menlove began her talk by exclaiming: "I like exclamation marks!" Okay. How odd. And probably very difficult for the foreign language translators to work with during the live broadcast. I don't have a favorite punctuation mark but I'm open to changing that. That comma really is amazing. April 2002. Spencer J. Condie advised the youth of the Church in his talk: "You young men will grow in stature and physical strength as you engage in folk dancing, sports, and wholesome, friendly athletic competition characterized by good sportsmanship." Folk dancing? Folk dancing? I've never known a young man to grow in stature and physical strength from folk dancing. But hey, what do I know? My legs are skinnier than a lot of guys' biceps. April 2001. Carol B. Thomas encouraged parents in her talk to "teach our children to go through their closets regularly and share their clothing while it is still in style, allowing others to dress fashionably too." I think we all know that you don't go to DI or Salvation Army to buy fashionable clothing. (Unless pit stains are the new craze with the youngsters). But maybe that's because we're not encouraging our children often enough to donate their clothing while it's still in style. Uggs here I come!!! A recent Conference where the person saying the closing prayer said, "Please bless President Kimball." I can't remember who said this but it must have been awkward for him to leave the podium and walk by President Hinckley. Oops. At another recent Conference, President Hinckley jokingly challenged a General Authority to a duel in the basement of the Tabernacle. It was pretty funny and everyone laughed. Then in the same Conference, another speaker jokingly challenged President Hinckley to a duel in the basement of the Tabernacle. It was pretty lame and no one laughed. Sorry dude, jokes are only good the first time. Yesterday I had to take a drug test for a potential job. I got to the place and had to really, really go. And not the thing they wanted to test. So while I was in the waiting room, I found a bathroom. When I came back to the desk, the receptionist asked where I went because the tester lady had come out looking for me. I said I had to use the restroom. She gave me a weird look. Then the tester lady came out. "Where did you go just now?" "I had to use the restroom." Pause. Confused look. "You're aware that this is a urine test?" "Yes, it's fine, don't worry." Then I felt very awkward. I think we both did. And that's before she pulled out the cup. 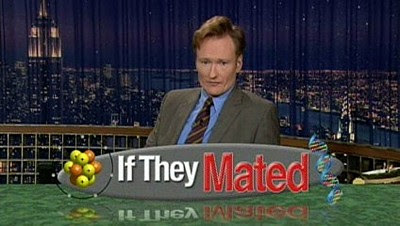 You've probably seen Conan O'Brien's hilarious skit called If They Mated. Here's how it works: Conan takes two pictures of celebrities who are dating, feeds the photos into a special computer from NASA, and the computer then shows what a baby produced by these celebrities would look like. 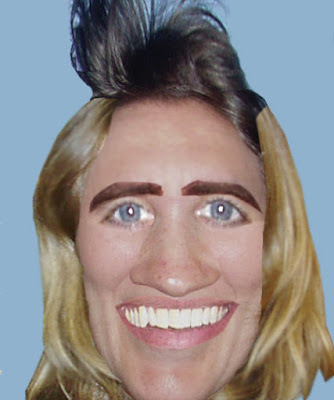 So, I called in some favors, got a hold of this NASA computer, and tried it out for Robin and me just to see what one of our future children would look like. Nothing too crazy here. Just a couple of cute kids in love. Oh my goodness! What is that thing? Maybe it could date Sloth from the Goonies. Hopefully it has a sweet spirit. No, the world would be a better place if we just didn't have any children. A lot of people have been asking us when we will start having kids. I think I will just answer by showing this picture.